Teeth whitening is quickly becoming one of the most popular dental procedures in Kelowna. It seems that everyone is whitening their teeth to help their smiles look younger and brighter. Many men and women are turning to over-the-counter solutions to whiten and a brighten their smiles. It may seem like the path of least resistance, but there can be disadvantages to this approach. First, we encourage you to visit our office before starting a tooth whitening system. Dr. Stephen Malfair can help you determine whether your teeth can be safely and effectively whitened. He can also recommend the teeth whitening solutions that will work best. Over-the-counter teeth whitening products will provide varying degrees of efficacy. If used incorrectly they can lead to problems, including tooth sensitivity, over-whitening, damage to tooth enamel, and uneven coloration. Most manufacturers of teeth whitening product recommend that you visit your dentist if things go wrong. We recommend the opposite: talk to us first, to help you avoid any problems in the first place. An ounce of prevention, after all, is worth a pound of cure. Our caring team is available to discuss your options and check your teeth. 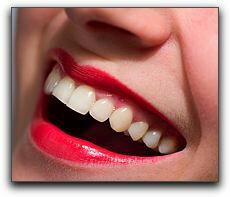 We want to make sure you will get the best possible teeth whitening results available in Kelowna.